Meditation plays an important role in manifesting your wants and desires. Meditation is the art of relaxing the body and quieting the mind. When quieting the mind, you are clearing your mind from excessive thoughts which helps you to release resistance from the thoughts that are holding you back from creating your desires. Once you are able to lift your vibration and release resistance your desires will be able to flow easily into your existence. With meditation you are no longer being guided by your ego, you are now being guided by what is called your power within or your Higher Self. Guided action can be in the form of creative ideas, impulses or blocks of thoughts of how to meditation in naturehandle an issue or certain situation that you’ve been worried about or you will be guided to an idea of how to manifest whatever it is that you desire. You can also use meditation to focus completely on your visions of your desires, that is imagining yourself already having or doing whatever it is that you wish to create, allowing yourself to feel the feelings as if it were already so. There are several ways to meditate; you can start by clearing the mind by focusing on your breath. Find a comfortable place and take a seat sitting crossed legged if you can. Start by taking a deep breath and exhaling. Breathe out to the count of five. Breathe in to the count of five. Continue until you become comfortable and relaxed pace is established. You can meditate by listening to your breath or you can also make a humming sound, or play a nature CD to keep thoughts from entering your mind. You can use anything that you can to distract your mind from wandering. You can do what feels good to you. You can meditate for as long as you would like but 20 minutes is plenty of time to quiet the mind and stop thought in order to receive the beneficial results. Some good times to meditate are in the morning before you rise, midday or right before bed. But anytime of the day is ok as long as you find the time. My preference is to meditate at night before bed because that is the best time for me. But, again no time of the day is better than the other; you just have to choose what fits into your schedule. You will receive the benefits anytime of the day that you choose. If you have problems meditating on your own, you can use a guided meditation CD. Guided meditation allows you to listen to the sounds of a soothing voice and calming background music that will allow you to stop your thoughts by focusing on inspirational words or background sounds which will allow you to lift your vibrations to higher levels. No one method of meditation is better than the other; all are helpful and efficient, you will have to find what works for you. You can also design a comfortable space for meditation (this isn’t mandatory, but it can be helpful) it can be a corner in your bedroom or a spare bedroom etc. If possible, you should use this same space each time you meditate; this will train your mind and body to know that once you enter into this space it is time to relax and quiet the mind. With meditation you must be consistent. If you receive creative thoughts, impulses or answers to your questions during or after meditation, write them down immediately and follow your impulses and guided action as long as it feels good to you. Coaching is as individual as you are. There is no cone recipe that will work for all of my clients. I assist them in working through whatever struggle they may be going through at the time. I coach them “in the moment” , working with whatever circumstances are present at this moment in your life. It is okay to reach out and ask for help from a unbiased third party who has your best interest in mind. It is hard for us as individuals to notice when our own thoughts are taking us astray from our intended path. All you know for sure is that you feel lost, or off track. That is where Coaching becomes important. 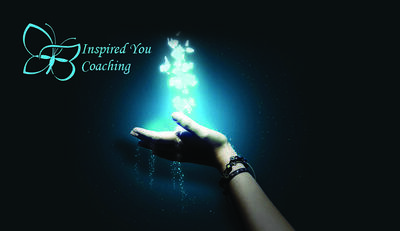 As a Coach I listen to the energy that is connected to your words and help you decipher whether your thoughts are empowering you or taking you further away from your desired outcome. A single session or a series of sessions with me may be what you are being called to do. If you are reading this page, then you were called here for a reason. There is no such thing as a coincidence. Learn new tools to keep yourself positively focused on your desire. Release those fears and limiting beliefs that are holding you back. Get in touch with your true power. We all have it! Feel more confidence and surety. Make a conscious connection to you Higher Self. Tap into your Energy and learn to create your desired life. Gain happiness from the inside–out! Start living feeling optimistic and motivated each day! If this is resonating with you, I invite you to join me and request an Introductory Session to find out how you can benefit from Law of Attraction Coaching. Coaching sessions are conducted over the phone and typically last 45-60 minutes. I coach “in the moment” so everything discussed during the sessions is related to you and what you desire in your life. I will provide you with tools that you can use to reconnect with your true self. Using the principles of the Law of Attraction, I will guide you through simple processes during our sessions that you can then incorporate into your daily life, to keep you feeling good and staying positive. I often use guided meditations to aide you in releasing limiting beliefs and empowering new beliefs. These meditations also really get you connected to your true self. As your Coach I will keep you accountable to work with the processes we use each week and stay on course to reach your goals. Also, along with my Coaching packages you will receive unlimited email support during the coaching period. I am very accessible and always available to guide you. Your first session with me is always free. It is important that we get to know each other and you have a chance to explore if this option is what you need in your life at this moment to move forward. If you decide to continue, there are several options available, and we can discuss these together and decide which option will be the perfect fit for you. Engage your power within and connect with your Higher Self. Learn skills and tools that will empower you and guide you towards creating your amazing, beautiful life. This package allows you to save in your costs per session and also to really lock in the knowledge and skills that you are learning. You will begin to create new positive habits and start to notice things manifesting in your daily life. This package offers you the most savings in costs per session, but the greatest benefit will be that your new way of thinking and feeling and living is now not only becoming habitual, but you will truly start to feel confident in your own ability to continue using the tools you have learned on your own. You will be confident in your ability to work with the Law of Attraction and will truly be creating a whole new way of living. I will give you the tools you need to begin to positively manifest your desires by connect with your power with in. We will address your current circumstances and challenges and get you started on your desired journey. The cost of this session will be credited towards the purchase of a Coaching Package if you decide to continue.